New Subaru Crosstrek Is Brand’s Hottest Star; Will It Pass Forester? The new Subaru Crosstrek is now the brand’s hottest star. Will it pass Forester? 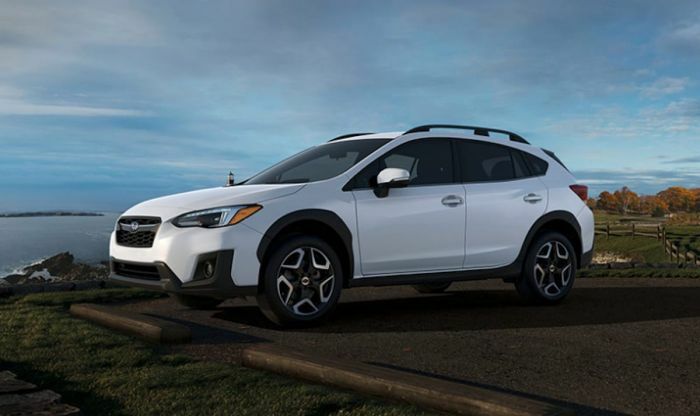 Subaru of America (SOA) reported the best March U.S. sales tally in its history, with sales of 58,097 vehicles thanks to the all-new Crosstrek. It’s the brand’s hottest star having it’s best March ever and it’s best month ever. The 2018 Crosstrek remodel is paying off big for the Japanese automaker. Crosstrek was up 88.2 percent over the previous March 2017 with 13,400 units sold. The complete remodel is paying off big for the brand as consumers respond in a big way. The new crossover almost caught Forester which had 14,616 units sold in March. Last month marked the first time Crosstrek has topped 13,000 units in a month. It’s not just U.S. sales where Crosstrek is hot. Subaru Canada reported Crosstrek sales were up 102.1 percent for the compact crossover’s best March on record. Australia hasn’t reported March sales, but the new-generation Crosstrek recently took home Best OzRoamer 2017 SUV under $45,000, by the specialist recreational magazine and website. Just like in January and February, the only other vehicle in Subaru of America’s stable of all-wheel-drive vehicles to post a gain for March was the 2018 Outback with a 5.7 percent increase. Both models are helping Subaru start the year with the best first quarter in the history of the company. SOA reported year-to-date sales of 149,703 vehicles, a 3.8 percent gain over the same period in 2017. Subaru Corporation just unveiled the all-new 2019 Forester SUV in New York which will make its dealer launch this fall. The revamped Forester will keep the momentum going and the new 2019 Ascent 3-Row family hauler will hit showrooms this summer which should also help Subaru smash its 9th consecutive yearly sales record. To start the first quarter, the big story for the Japanese automaker is the all-new 2018 Subaru Crosstrek. Consumers are responding in a big way to the second-generation compact crossover as it sets new records to start the year. It could pass Forester as the second best-selling vehicle in the lineup. DD - According to Subaru their core buyers (95% in the Forester line) did not buy the XT Forester turbo, so they don’t care or see the need to increase horsepower. So, it’s highly unlikely Crosstrek will see a turbo engine from Subaru’s vantage point. The vehicle is selling like hot cakes so they don’t care about enthusiasts that want performance engines. I would like to see the Edlebrock E-Charger for the BRZ work on the Crosstrek, and pass CA smog. Anyone have any idea when we might know colors/mods for the 2019 Crosstrek?